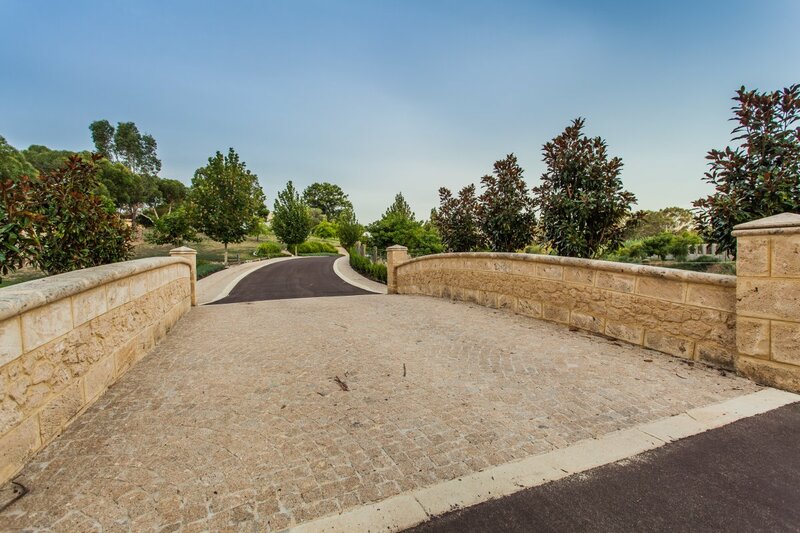 Over a bridge, up a 300 meter driveway lined with trees and imported cobblestone and passing by acres of beautifully landscaped gardens, visitors reach the entry of this stunning modern residence via a covered portico on a large circular driveway. 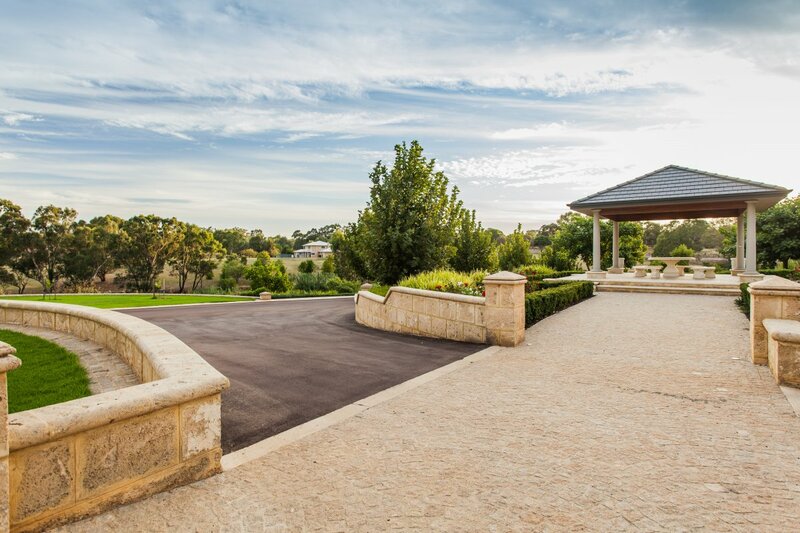 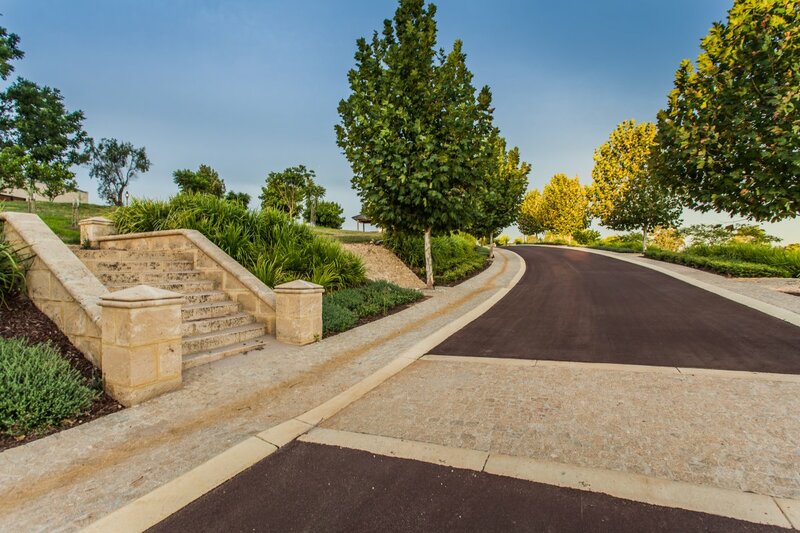 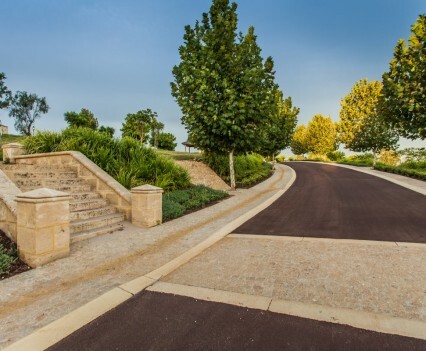 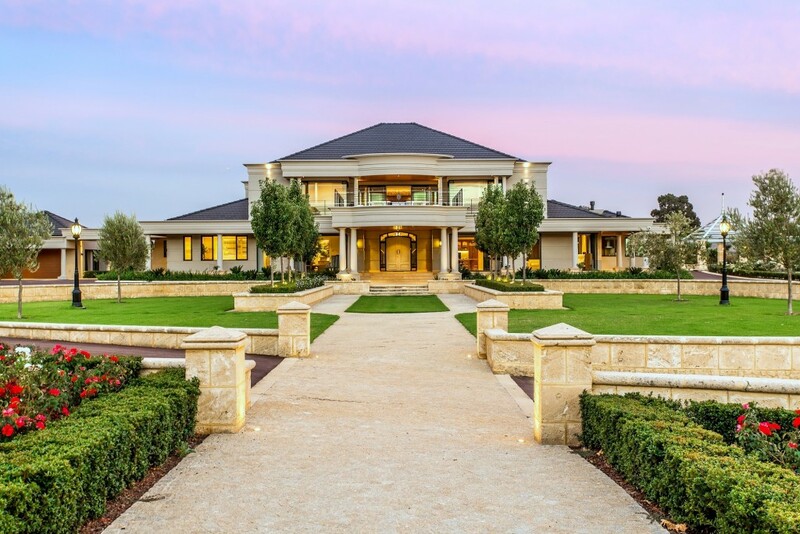 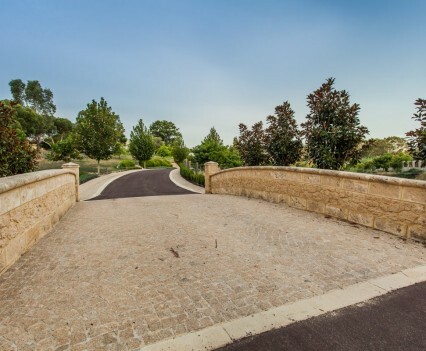 This grand and impressive entrance sets the tone for a magnificent new estate in Henley Brook, recently completed by Pirone Builders. 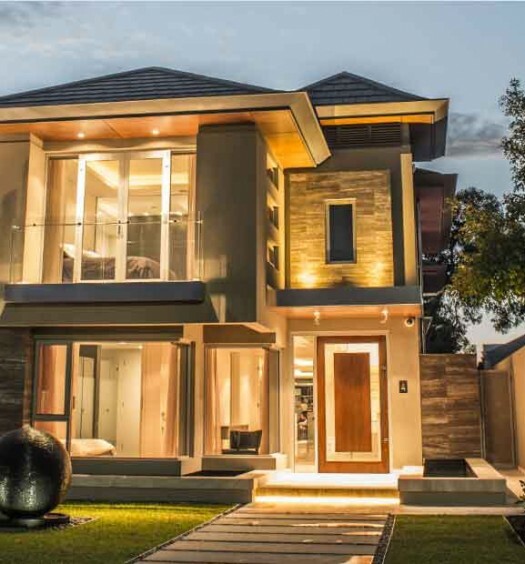 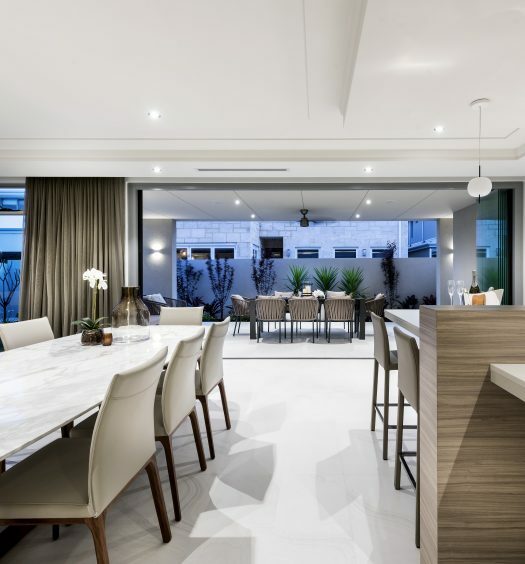 A collaborative effort between Pirone Builders and designer Parm Tijhung, the project took several years to complete. 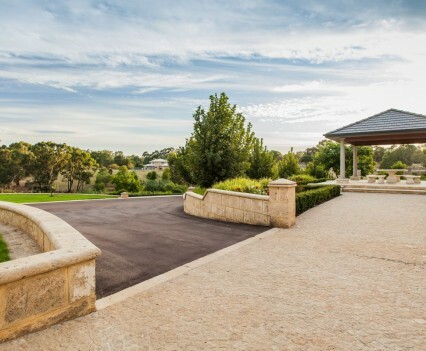 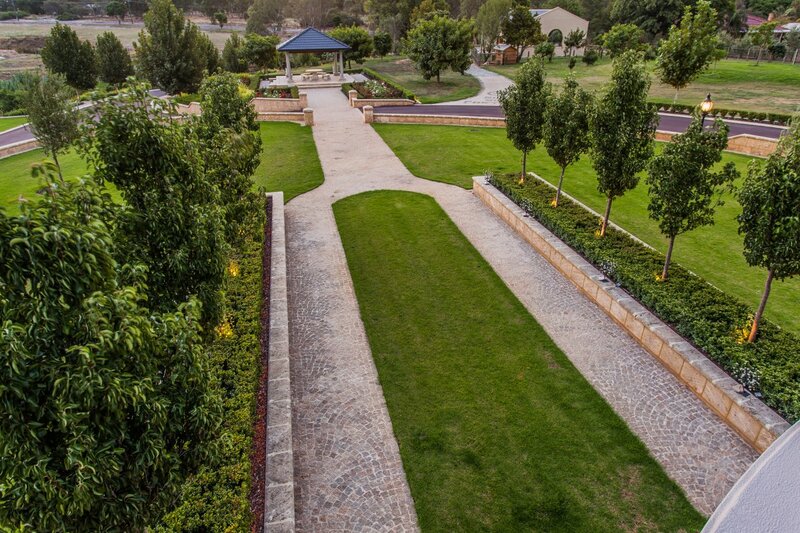 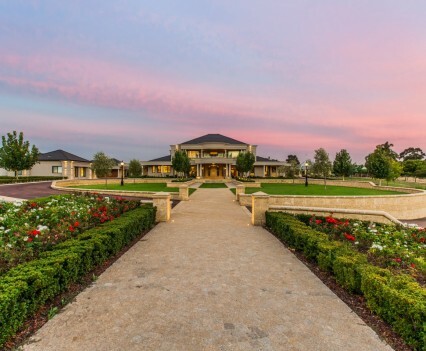 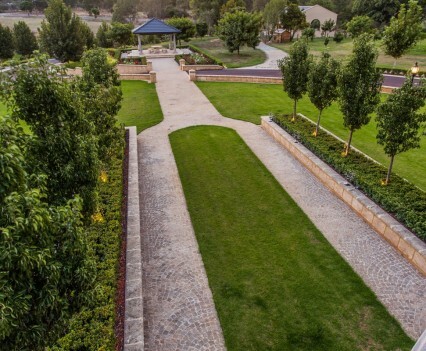 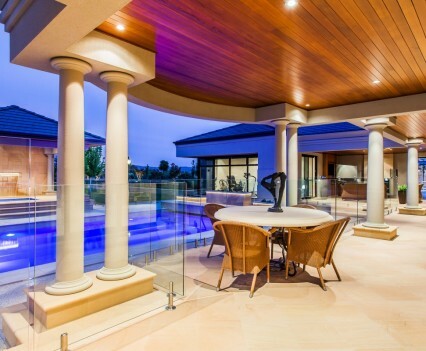 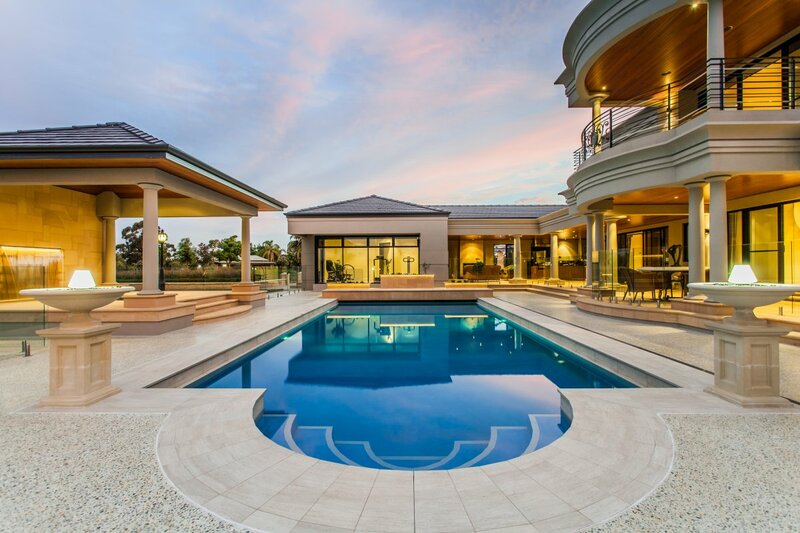 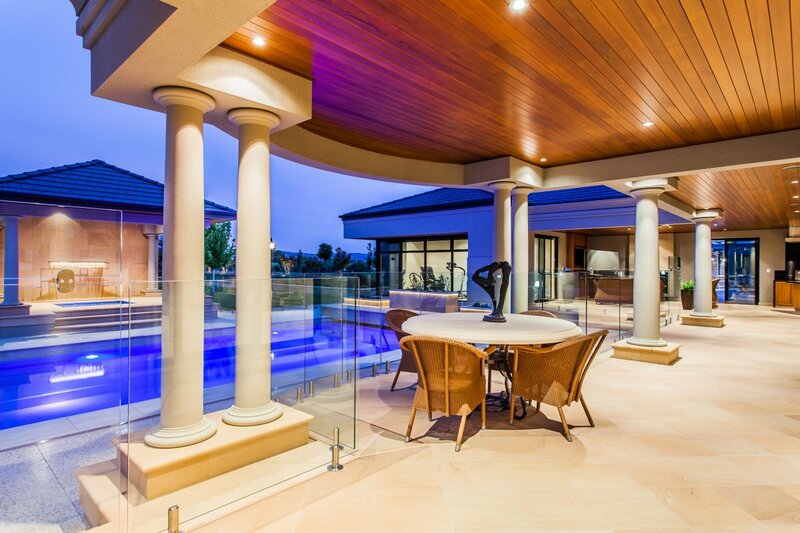 Extensive work was undertaken by Pirone Builders including the demolition of the existing home, construction of the new stately manor along with several outbuildings and acres of beautifully landscaped gardens – and the outcome is nothing short of spectacular. 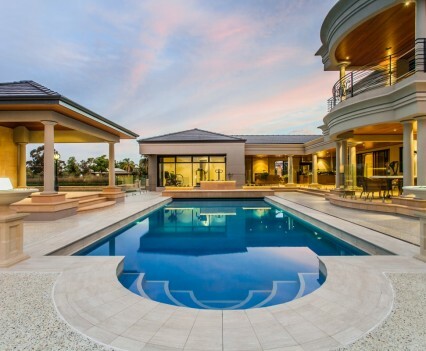 In addition to the main residence the property has a six car garage, separate gym by the pool, and a self contained granny flat. 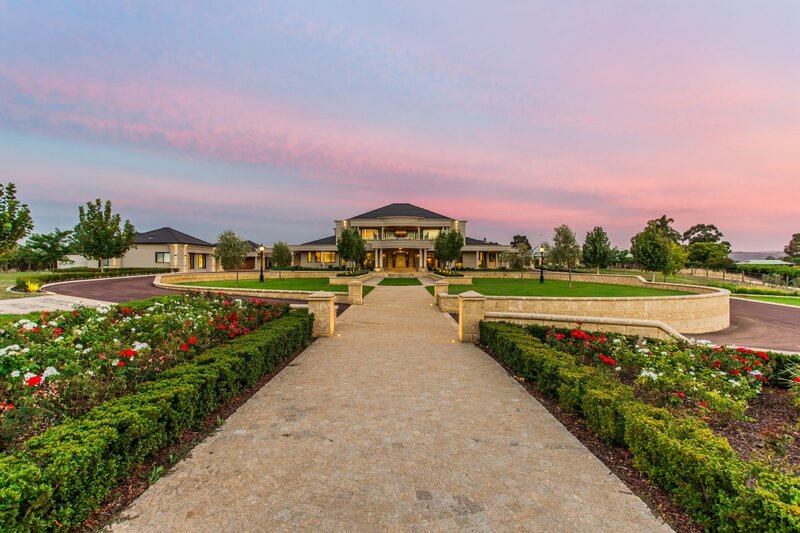 In total the estate offers over 1800 meters of under roof living area and has been designed for family fun and entertaining. 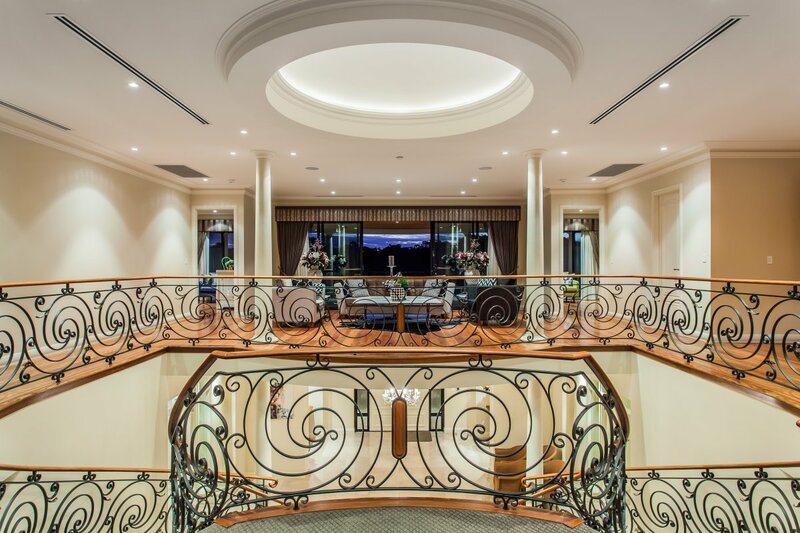 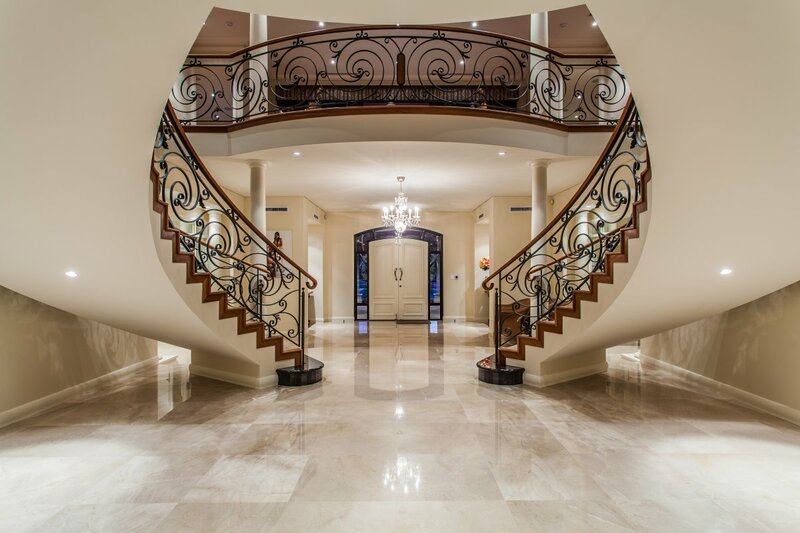 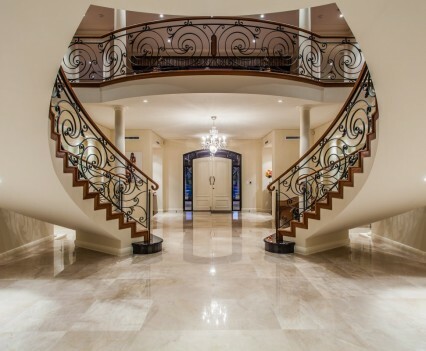 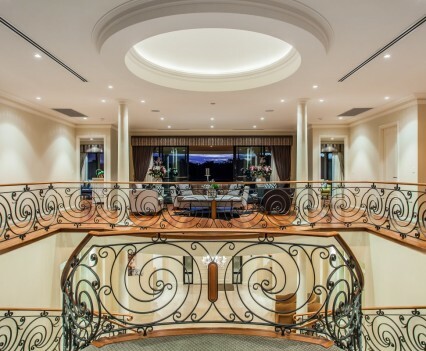 Finished with the finest materials such as marble flooring and walnut cabinetry the home itself is a work of art from the grand entry foyer with ‘Gone with the Wind’ sweeping staircase, to the covered alfresco complete with outdoor kitchen, fireplace and pizza oven. 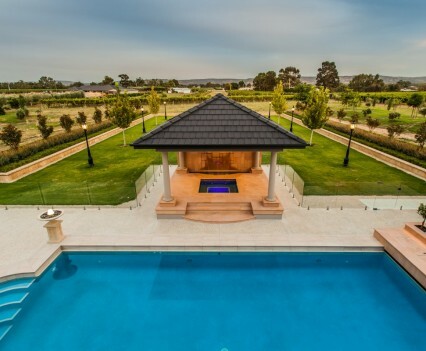 Externally the exotic materials and meticulous detail continues by the pool and covered Mazu stone spa area – through to the many tiered levels of stunning landscaped gardens. 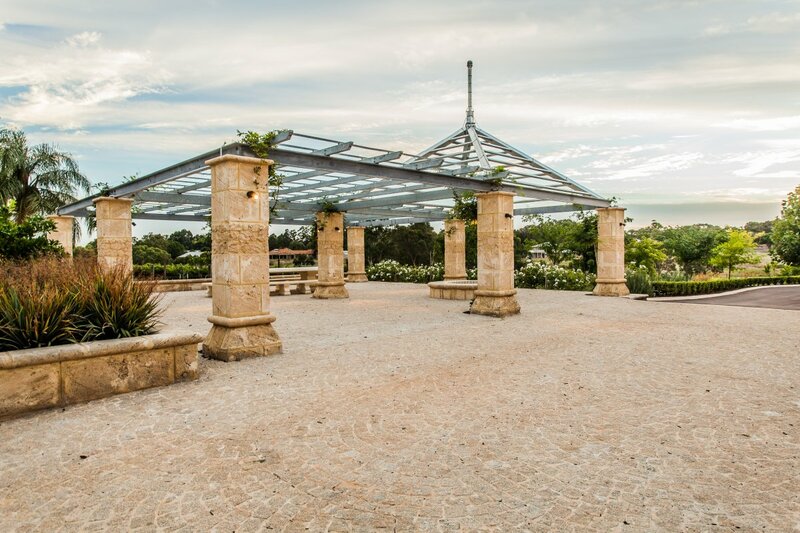 A particular highlight is a pergola with European-style limestone columns, paved with the cobblestone that was imported from Portugal. 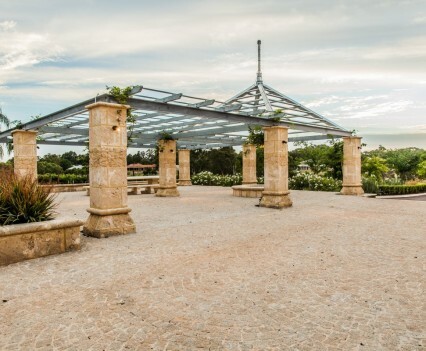 A built-in firepit and seating makes this a separate rustic entertaining area, and shady gazebo nestled at the end of a long garden path, enhanced by colorful blooms and greenery is a romantic spot to enjoy a glass of wine at sunset. 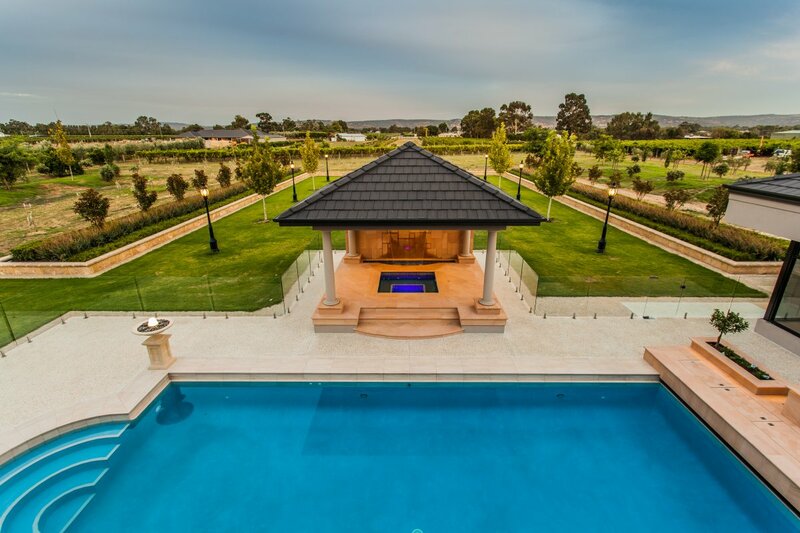 This outstanding estate features every conceivable amenity for family enjoyment on the grandest of scales in a tranquil, rural environment.